Our homify 360° gem for today focuses on something truly extraordinary: a rear garden house that flaunts not only some eye-catching style, but very clever designs that make it one of the most eco-friendly spaces ever. And we all know how important it is to commit to “green living” in today’s day and age, right? 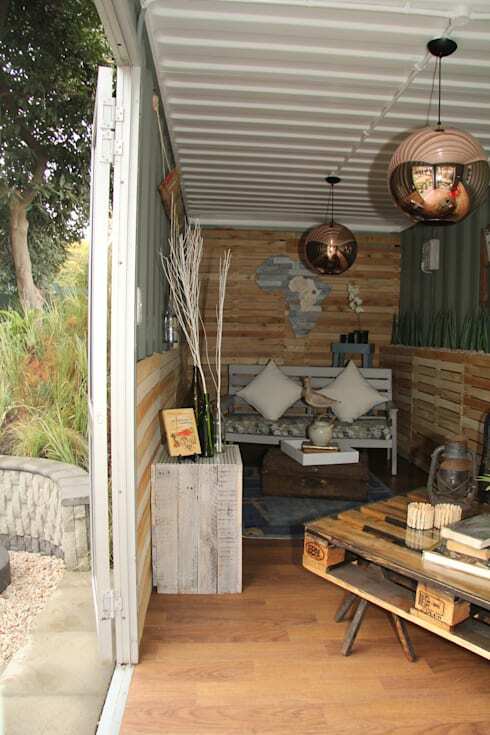 Johannesburg-based landscape architects Acton Gardens were in charge of this little jewel – let’s get inspired! 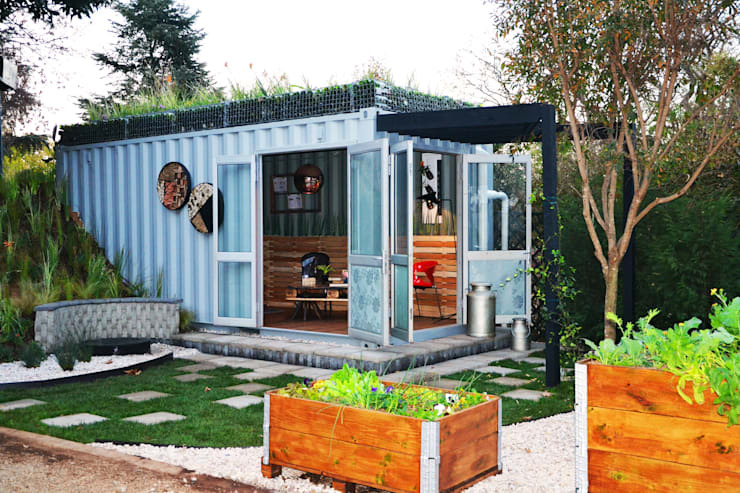 Ever thought of using an old shipping container for a garden house, where you can use it as a standalone home office, spare bedroom, yoga studio or simply just a little lounging space where you can relax and enjoy some fresh air? These guys certainly did, and they made sure that the end result was styled up to the nines! 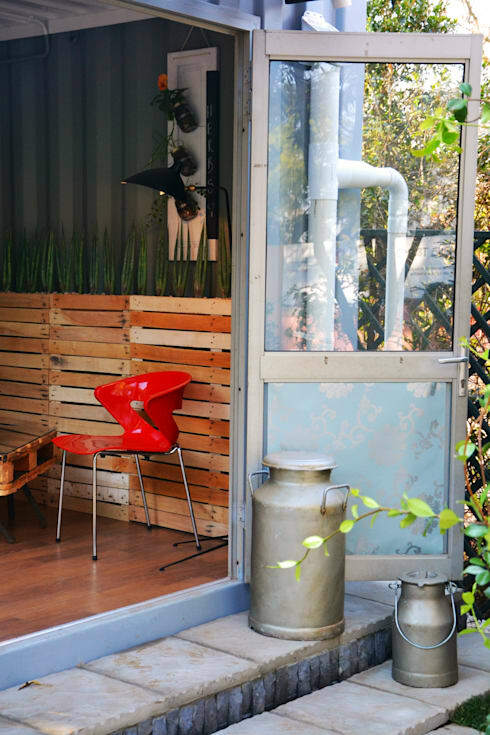 Thus, feast your eyes on this container structure that now, thanks to all recycled materials, plays the part of a little garden hut. Don’t miss the roof garden on top! 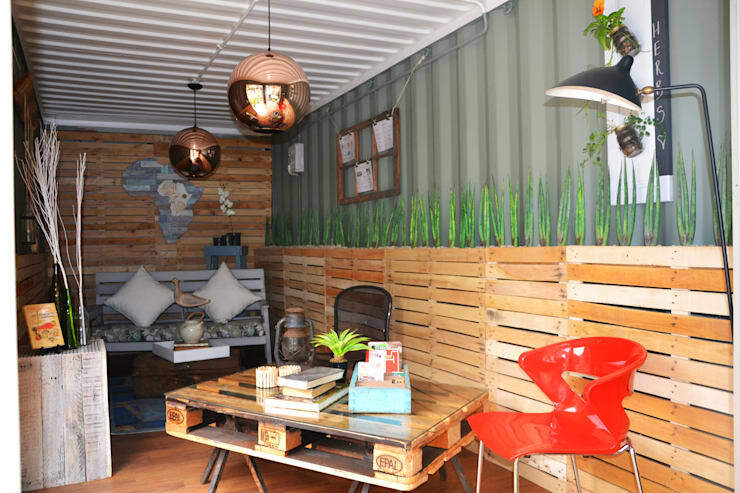 But the container’s not the only element that’s been re-used here. 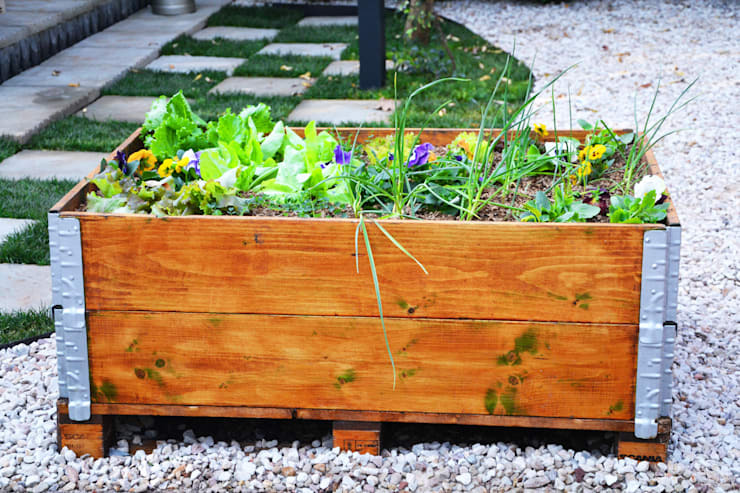 Recycled shipping pallets now stand in for organic vegetable planters, giving us another creative tip when it comes to living “green”. 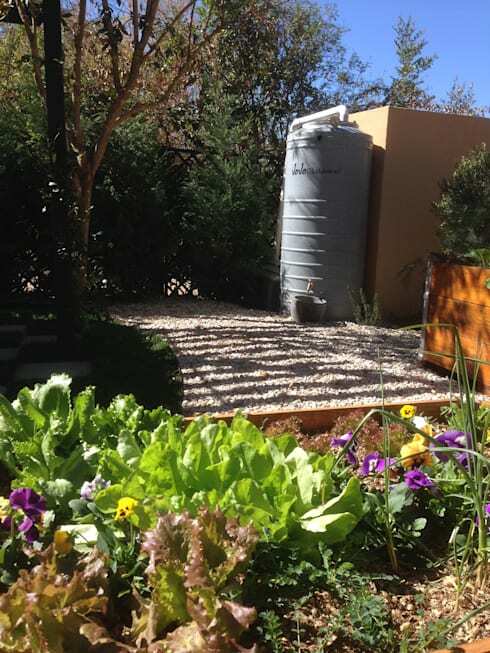 A rainwater-harvesting tank is another delightful addition that adds to this structure’s eco-friendly ambience. 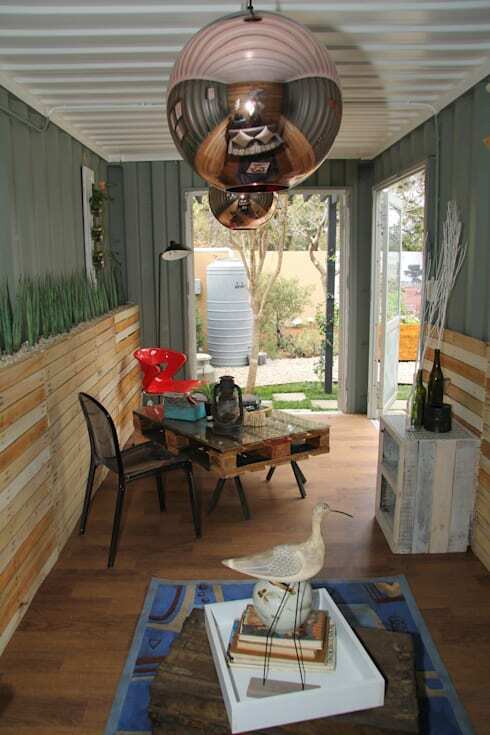 And speaking of not wasting, what about the garden house’s interior side – think it’s bland and empty? 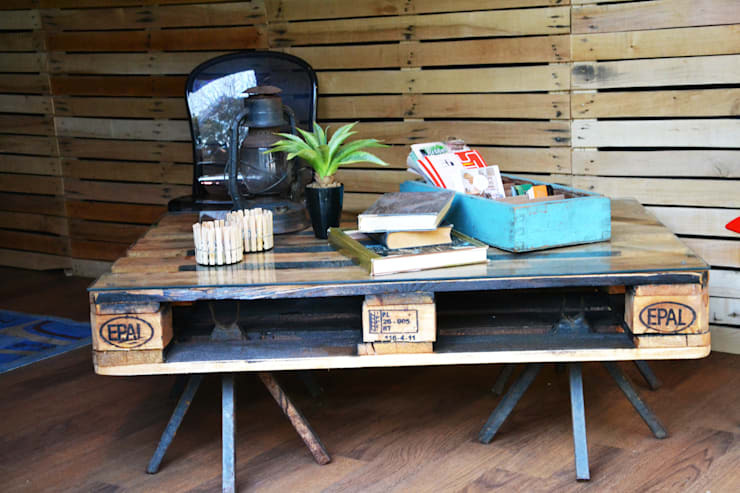 Think again, for old shipping pallets continue to be used in here, now playing the parts of décor items and furniture pieces, like this cute little coffee table. Why spend money on new items? 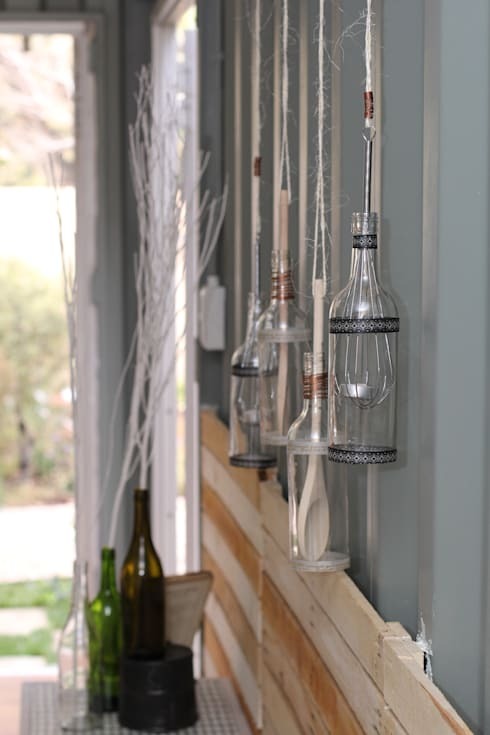 Various recycled pieces have been used for wall decoration, as we can see here. 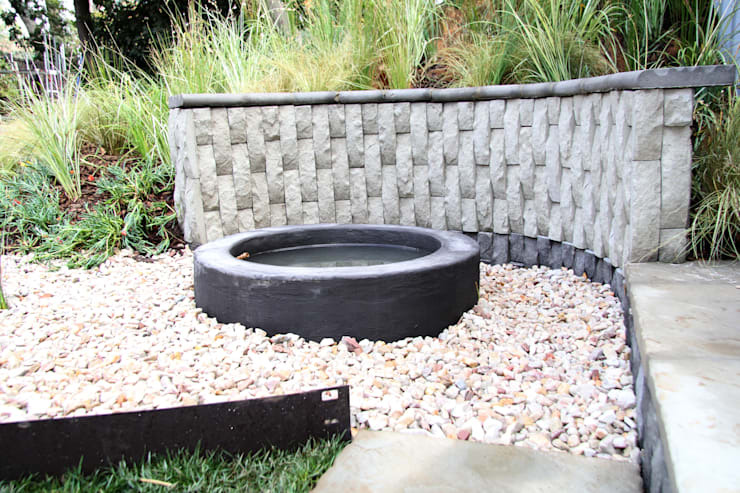 Let’s scope out a few more images of this garden home for further inspiration! Speaking of outdoor spaces, see these 9 beautiful patios for your inspiration. 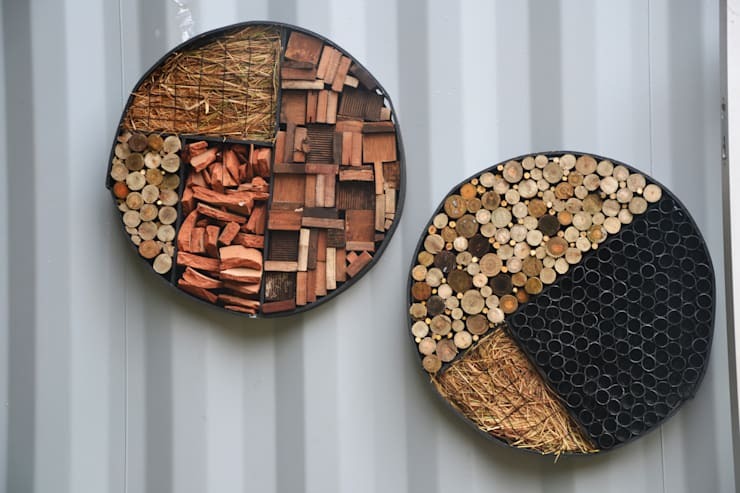 Love it or loathe it – what do you think of these eco-friendly designs?